Customer responsible for bag storage. Replacement charge $28.00 each. Set Up charges $0.50 per chair for unbagging & $0.50 per cushion for tying. Breakdown charges $0.50 per chair for rebagging & $0.50 per cushion removal. 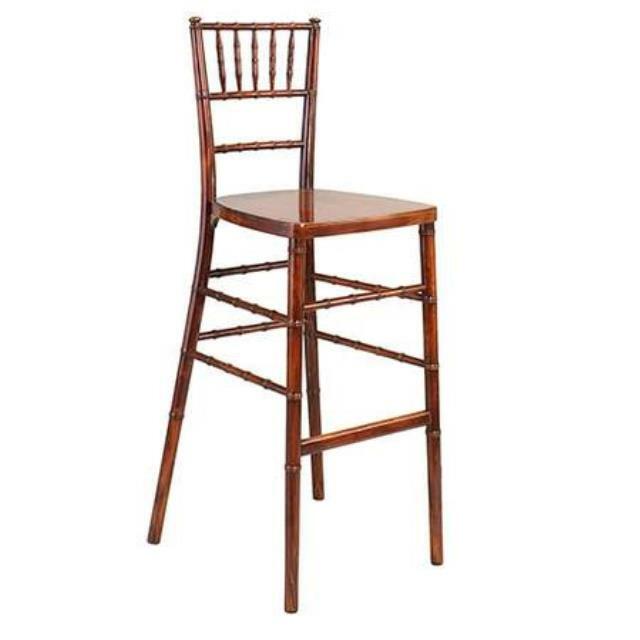 * Please call us with any questions you may have about our chair stool chiavari fruitwood in Philadelphia, Princeton NJ, Trenton NJ, New Brunswick NJ, Cherry Hill New Jersey, Pennsylvania, Delaware.